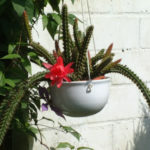 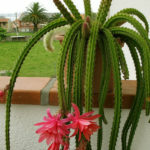 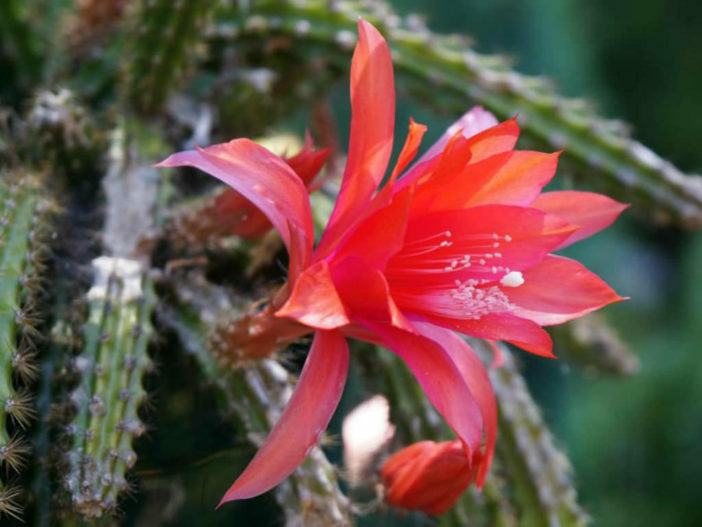 Disocactus x mallisonii is a tender, pendent, perennial cactus with stout, bright green, ribbed stems up to 0.4 inch (1 cm) in diameter, bearing brown spines. 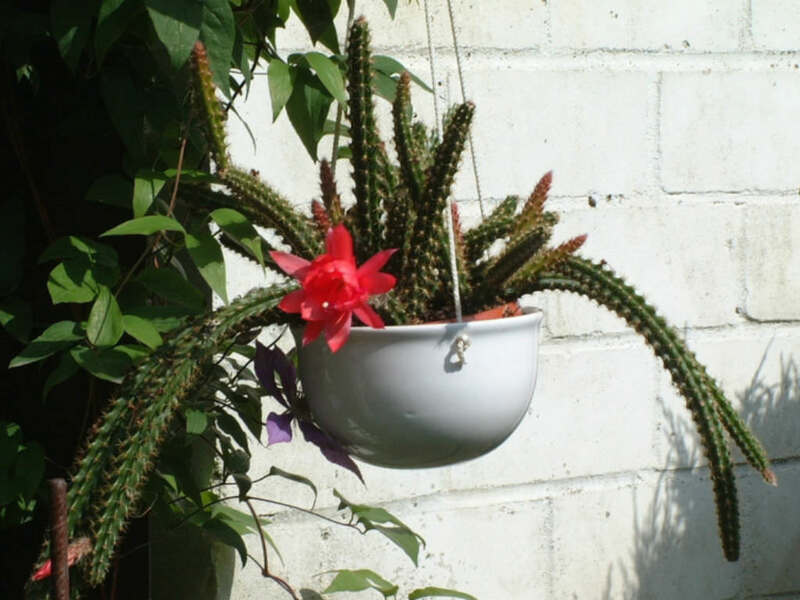 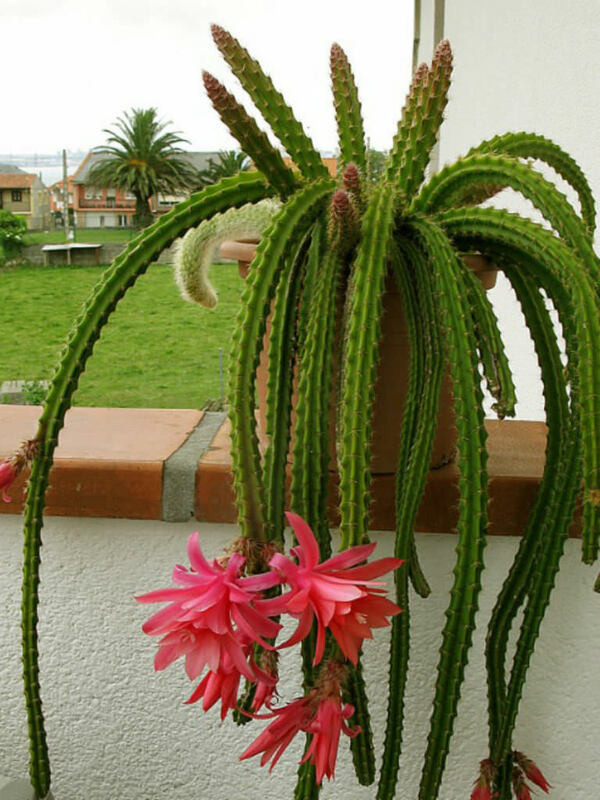 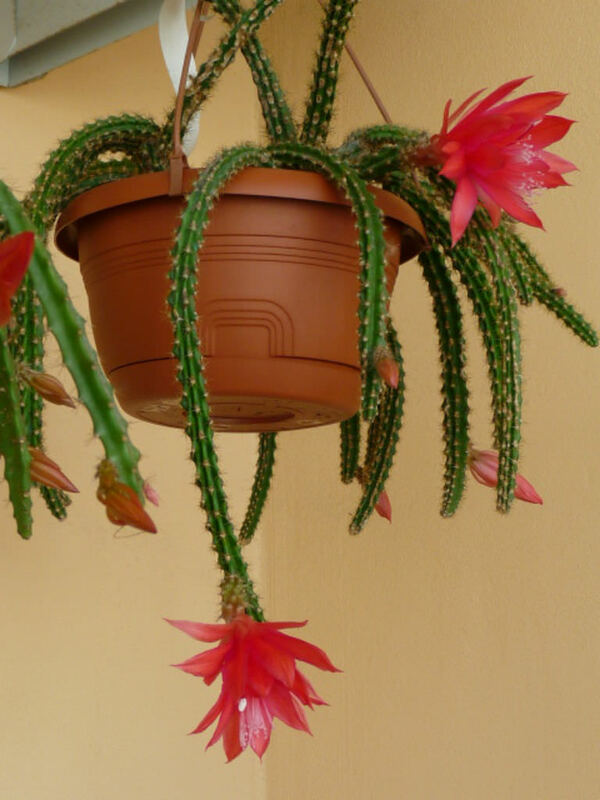 The flowers are narrowly tubular, funnel-shaped and bright pink or red. 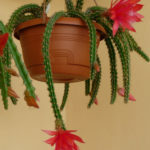 Disocactus x mallisonii is a hybrid between Disocactus flagelliformis and Disocactus speciosus.